With summer coming to an end and winter on the way, fall is an important time for property managers to ensure that their commercial roofing system will stand up to the upcoming winter. Winter weather can cause significant roofing problems for business owners and building managers in the Midwest, making the fall a key time for addressing any damage or outstanding issues. Because the winter snow and ice will certainly put all roofing systems to the test, fall is an essential time to schedule a commercial roof inspection and ensure your roof is up to snuff. If you’re unsure of whether your roofing system needs repairs prior to the fall and winter months, Bloom’s self-inspection guide can help you identify potential issues or ensure that your roof is damage-free. If roofing issues are left untouched in the fall, the cold months can bring about many major issues, leaving you with costly roof repairs or even the need to replace certain sections if the damage is significant. When inspecting roofing systems in the fall, there are a few specific issues that are common due to the seasonal changes. With leaves falling by the hundreds during the fall months, debris and leaves can be the biggest culprit for roofing damage during the fall and early winter. Leaves and debris often clog gutters, downspouts, and roof drains, leaving ponding or stagnant water idle before the frozen temperatures lock the debris in place and completely clog drainage systems in the winter. Depending on the design, many roofing systems also have areas that will accumulate excessive snow or ice, such as areas next to a vertical wall, lower roof decks, awnings, or canopies. It's essential to have a certified commercial roof inspector rigorously inspect every drain, scupper, gutter, and downspout to ensure that the roof will properly route precipitation before the winter's ice and snowstorms take hold. Ice dams can cause major damage to exposed roofing systems, so you should ensure that your roofing system and drains are ready to take on the freezing temperatures before the fall ends. If any portion of your drain is clogged or dammed up by ice, water can be left with nowhere to go and will add weight to your roofing system. If your roofing membrane or insulation is compromised, condensation can occur within your building during the winter months. When a cold surface meets the warmer interior air, condensation will form and can cause major mold and mildew problems inside your building in addition to potential water damage. Especially with low slope roof systems, significant amounts of snow and ice can accumulate on the surface of your roof, making the integrity of your roofing membrane and insulation vital to your roof's overall health. The membrane and insulation of your roofing system should be inspected thoroughly in the fall, so keep an eye out for any shrinking, shifted, loose, or mushy portions of your roof’s surface. These symptoms typically indicate damage to your roof's membrane or insulation. If the membrane or insulation are compromised, condensation can occur if the warm interior air is exposed to the cold outside weather, leaving the potential for water or moisture issues. Additionally, one of a roof membrane's primary functions is to prevent water from reaching the building's interior, and if your membrane is badly damaged, spring time can be a rude awakening when the snow melts. Property managers should also be wary of flashings and sealant around all rooftop penetrations or edges in the fall, as winter's freeze/thaw cycles can do quite a number on exposed cracks or voids. Though there’s no way you can avoid the freeze and thaw cycle, keeping up on proper maintenance can ensure that your roof’s components are prepared to withstand the ice. 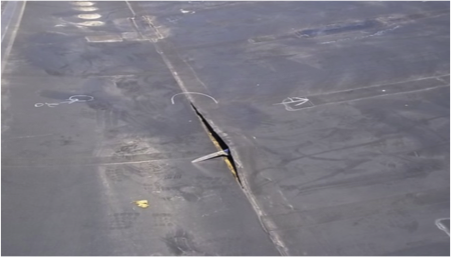 If any of the components above are vulnerable or damaged, the roof could experience damage to flashings, exterior equipment, or roof penetrations could occur. By inspecting your roof in the fall, experienced commercial roofing companies in the Midwest like Bloom Roofing are able to identify problem areas and ensure they are water-tight and won’t be vulnerable to impending snowstorms. Without a proper commercial roof inspection in the fall, your roofing system may be susceptible to major damage during the winter months. 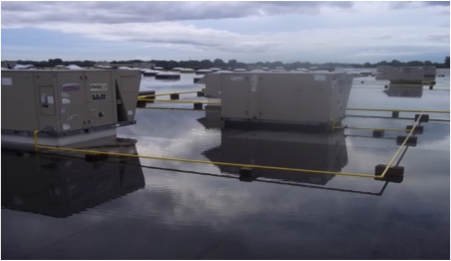 With the significant amount of precipitation during the winter in the Midwest, commercial roof repairs can be incredibly difficult and costly should a major issue arise. With that being said, it’s important to take note of potential issues within your roofing system and ensure that repairs are made before major damage occurs. At Bloom Roofing, all commercial roof inspections include a thorough report that allow you to track the health of your roof, particularly for potential problem areas. For property managers committed to protecting their buildings, Bloom's comprehensive reports and detailed inspections will help you identify the strengths and weaknesses of your roofing system, allowing you to keep tabs on potential issues when the spring rolls around and avoid costly repairs. 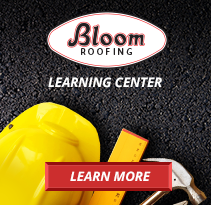 For a fall commercial roofing inspection that will ensure your roofing system is up to the bitter cold of winter, contact Bloom Roofing today. Bloom’s Certified Roof Repair Technicians are experts when it comes to providing unmatched roof protection and longevity, significant cost-savings over time, and maximum peace of mind for commercial property owners and managers.